Peter Matthiessen, the legendary writer who died April 5, had one of his most important books withdrawn from publication for seven years as a result of attacks by government officials and the cowardice of his publisher, Viking Penguin. It’s a story overlooked in many of the obits. 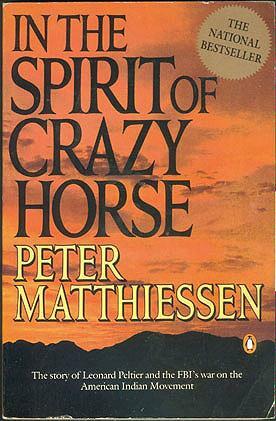 Published in 1983, In The Spirit of Crazy Horse provided a passionate and solidly documented account of the events that culminated in a 1975 gun battle on the Pine Ridge Reservation in South Dakota between FBI agents and members of the American Indian Movement (AIM) that left two agents and one Indian dead. . . . continued at TheNation.com, HERE.